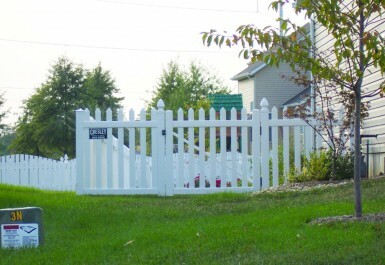 Are you looking for a reliable company to install vinyl fencing at your home in O’Fallon, IL, or a nearby community? If so, the experts at Chesley Fence & Deck are here to help. 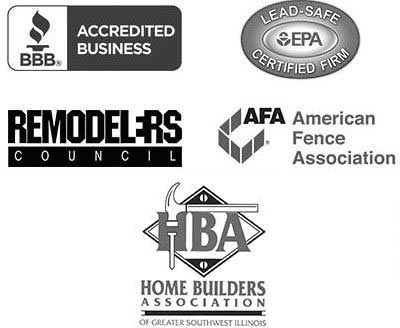 Having served area homeowners for nearly five decades, we have an unparalleled level of experience, and, in fact, have installed more fencing in the region than any other company. Since this time, we’ve earned a reputation for excellence as well as an A+ rating with the Better Business Bureau thanks to our unwavering commitment to customer satisfaction. Durable – Our vinyl fences are of the highest quality vinyl and we dig 30” deep holes and set posts 24” in the ground – deeper than most other companies – to achieve incredible durability. Beautiful – All of the pieces of vinyl fencing we install fit together seamlessly and the premium vinyl resists fading and discoloration, making it an attractive addition to your yard. Customizable – Our vinyl fences are available in many different colors and styles, allowing you to choose and option that truly suits your aesthetic preferences. Protected – Our vinyl fences are backed by a lifetime manufacturer’s warranty, so you can be sure you’re making a sound investment in your home. We only employ skilled and experienced technicians – never subcontractors – who can install our vinyl fencing in any configuration you need. So, whether you require a small amount of fencing or several dozen yards to enjoy more privacy throughout your entire property, you can count on Chesley Fence & Deck to offer the perfect solution for your O’Fallon, IL, home. Contact us today to learn more about our products and the financing options we offer to qualified homeowners. Thank you very much to the Chesley family and their crews for an awesome job on the install on our shadowbox fence.